Table Talk: Are You Doing Your Child’s Allowance All Wrong? Table Talk Topic: Are You Doing Your Child’s Allowance All Wrong? Money is a topic that parents don’t frequently discuss with their children. Whether they think it is inappropriate, unnecessary, or irrelevant, many parents just don’t see the value in talking about monetary value with kids, especially preschoolers. 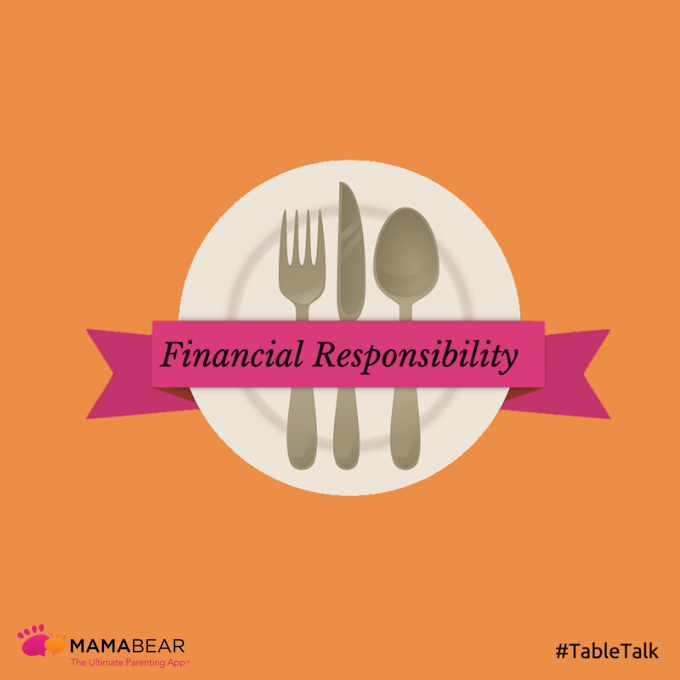 But financial responsibility is conversation that all parents should have with their kids, even at an early age. Teaching young kids about money can help them make more responsible financial decisions as they enter adulthood, according to Ron Lieber, author of The Opposite of Spoiled: Raising Kids Who Are Grounded, Generous, and Smart About Money. The time for your kids to make major financial decisions may not be that far down the road as many teenagers make six-figure decisions regarding college and student loans. So, take time to talk to your kids about financial best practices and allow them to put those lessons into practice by setting up a fair and meaningful allowance plan. Giving children an allowance helps them understand the value of a dollar and the work needed to earn money. But that point can only be conveyed if allowance best practices are put into place. Use the following tips to make sure your kids get the most out of their allowance plan. While it will be different for each family, here are a few milestones where implementing an allowance plan is appropriate. When preschool starts. Research shows that by preschool, kids are able to discern the difference between wants and needs — making them capable of understanding how money is spent. When kids start asking about money. Don’t skirt the issue if your kids bring up money. Use it as a way to begin the conversation. When the tooth fairy comes. Make sure to have a conversation about money before giving kids money as gifts and rewards. A family’s financial situation will impact the amount of money a parent can give as allowance. But when possible, Lieber recommends giving a dollar per week per year of age. This is an easy formula for figuring out an appropriate amount for each age group and will stop you from giving too much or too little. Don’t just hand over money and expect your child to figure out how to manage it on their own. Explain how they can use the money and suggest that they divide it into three categories. Spending helps kids see what they can get in return for what amounts (and the amount of work put forth to earn the money). It will teach them to be thrifty and modest in their spending. Saving shows kids how long it takes to build a reserve for unexpected expenses or expensive items and teaches them patience in an on-demand world. Giving helps kids discover the value of generosity and working in order to help others, not just to buy things. Talking about money at an early age and throughout your child’s development will help turn your kids into more financially responsible adults. It’s just one of the valuable conversation you can have with you family around the dinner table. If you are looking for even more dinner discussion ideas, check out MamaBear’s complete Table Talk Topics Series. Next PostNext Do You Know the Right Things to Do if Your Child Is Bullied?